How To Buy The Best Integrated Fridge - Which? Want a new fridge that blends in seamlessly with your built-in kitchen? 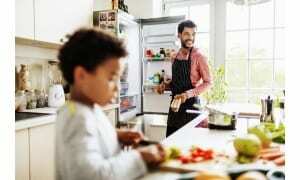 Our expert advice will help you choose the best integrated fridge. See which integrated chillers we recommend – head straight to our reviews of the best fridges. Should I choose an integrated fridge? Why are integrated fridges so expensive? What type of back does the integrated fridge have? If you’re buying a new kitchen, here are the pros and cons to help you decide whether a built-in fridge is the right type for you. They’re built into your kitchen and hidden from view. 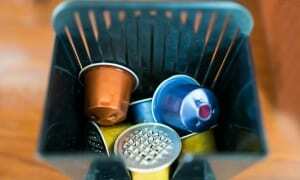 They're slimmer than some fridges, and won’t protrude into your kitchen. There are fewer models to choose between, compared with freestanding fridges. Integrated fridges are much more expensive to buy. They also use more energy, so running costs are higher. This type of integrated fridge is built into tall kitchen cupboards - either as individual columns or into a bank of units. Some of the shorter models are called over-counter or in-column fridges. Tall fridges offer a huge amount of storage space, which makes them a good option if your household eats a lot of fresh food and you need plenty of fridge space. Most tall integrated fridges are a fairly standard width and depth to match the size of a standard 60cm-wide kitchen cupboard unit. They might vary by a couple of centimetres, but you won’t have to factor in extra space for ventilation. The largest are typically 177cm tall. The next size down is around 140cm and the smallest come in at 123cm or less. This will depend on the size and brand you want. The tallest models start at around £400 for a Beko and rise to £700-£800 for an entry-level Bosch or Neff. You’ll pay up to £1,000 for a Bosch, Neff or Siemens with more features, while models from Liebherr and Miele are likely to cost more than £1,000. 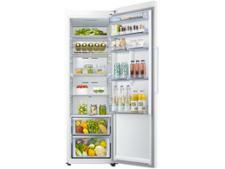 Prices for integrated tall fridges start at £400-800 and range up to £1,000 plus, depending on the brand. Integrated under-counter fridges are built into a kitchen unit that sits underneath a kitchen work surface. 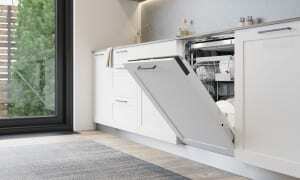 They’re sometimes called built-under fridges and are ideal if you don’t have much space in your kitchen. They are on the small side, though. You might find that an integrated under-counter fridge isn't big enough to hold a large load of groceries, several bulk-buy offers or enough food for a big household. Plus the salad crisper drawer is right at the bottom and you may struggle to access fruit and veg if you find bending difficult. While exact sizes might vary by a few centimetres, every under-counter fridge will be less than 60cm wide and 60cm deep to fit the dimensions of a standard kitchen cupboard unit. They will also be less than 90cm tall. 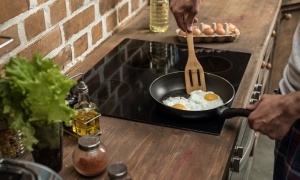 Make sure you don’t buy one that’s any taller - such as an over-counter or in-column model - as it won’t fit under your work surface. 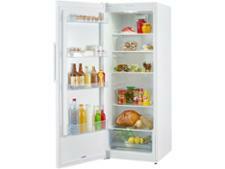 Prices can start at £200-300 for a basic model from brands such as Beko, Candy and Fridgemaster. But most models cost more. Most AEG, Bosch, Neff and Siemens models are in the £350-£450 price bracket, while a top-of the range Liebherr will set you back more than £500. Make sure your integrated under-counter fridge is 90cm tall or less, or it won’t fit under your kitchen work surface. Built-in models are noticeably more expensive than freestanding fridges - sometimes by a few hundred pounds. There are various theories as to why integrated fridges are so pricey. One possibility is that designing the cooling technology to work within a confined space was costly to develop. Another is that as integrated fridges are less popular than freestanding models, manufacturing costs are higher. Or it could be that once you’ve added a built-in fridge to your kitchen, you have no choice but to replace like-for-like when you need a new fridge. So there’s less incentive for manufacturers to keep prices down. 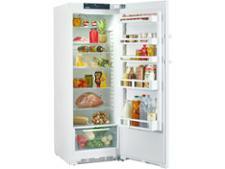 Want to know the best integrated fridge to buy? Head straight to our fridge reviews. All fridges need insulation to keep cool. This insulation is flammable, so it's essential that it's sufficiently protected in the event of a fire. The backing that protects this insulation is currently made from either plastic, metal or aluminium laminate, depending on the make and model of fridge you buy. All fridges with this type of backing have been made Which? Don't Buys, regardless of how else they have performed in our chilling and freezing tests. Each of our fridge reviews will tell you what type of backing that model has.